Hi everyone is there any automated process is there to clean up ODI I$ and C$ work tables? Do we need to create the folder manually or will it create automatically? The package is showing completed but there is no file showing up at the target directory. I have created projects in ODI console of WORKREP1. I am logging into ODI console with repository: WORKREPOSITORY and user: supervisor. then inside it is showing nothing about the work repository. we have a problem where the dev box disk failed and no new backup. Is there a way that we can recover from the live environment from the xmls? Can anyone tell me exactly which classes are exported for each of the Snp class names a recursive export it taken? I’m building something to integrate ODI and SVN and need to know which to use recursive and which non recusive exports for. I don’t want scenarios only the source objects for check in/out to/from SVN. did you manage to integrate ODI and SVN, i have similar job to do, but need to know how to integrate ODI with SVN. Similaraly can we automize the backup for dataserver also? At a time only one Dataserver can be exported so repeat the same for required number of Data server to be exported. Do i no need to take backup of scnarios xml files.As work repository have storage of meta data(information only not code) or any of SNP tables will have xml files stores.o do have backup of work repo. but will it be efficiant in case of server crash. 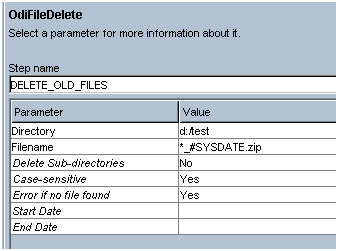 To Answer your query , well when you take a back up of ODI MASTER and WORK Repository , you will have every objects including scenarios captured in the work_repository.zip . So you dont have to worry about backing up other things separately. 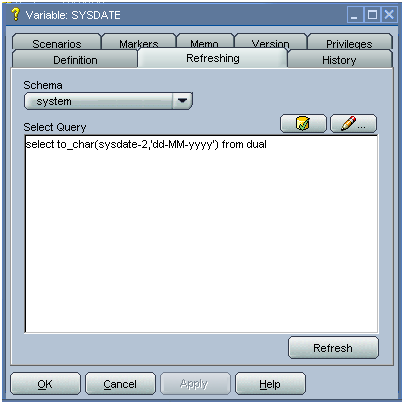 ODI accordingly will create required XML files from the SNP tables automatically into respective XML. You can do sample testing by doing a backup of Work Repository and look into it and see how its storing data , that will answer all your queries. Aproximately how long will it take to complete this backup of the master and work repository. For example i have master repositroy and work repository of size around 300 MB. Also during this export i am assuming i can not do the development in the work repository. Is it correct? Yes certainly , set the time using odi scheduler during the time when there is no development carried out. As there are chances of corruption or improper export when there is development activity being carried out. Secondly the export time depends on your Network speed and other hardware .